Asparagus is one food that has been celebrated since the medieval ages for its ability to rev up the sexual drive in both men and women. In fact, asparagus was used by people of medieval ages to treat infertility. It contains Vitamin C which aids in raising male fertility, testosterone and sperm count. 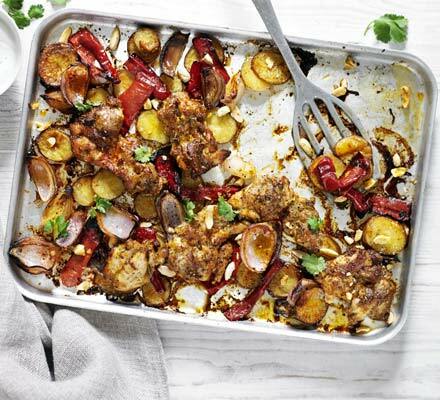 Combined with the super fertility foods chicken and almonds, this recipe is an easy and tasty one-pan roast chicken supper spiced up with lemon, cumin, paprika, coriander and other North African flavours. Heat oven to 200C/180C fan/gas 6. 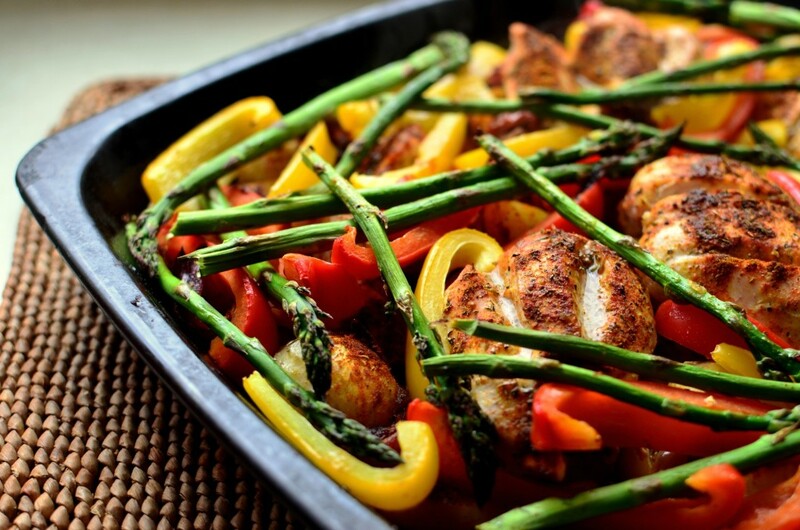 Place the chicken, onions, potatoes, asparagus and peppers in a large bowl and season. in another bowl, mix together the garlic, spices, oil, and lemon zest and juice. Pour this over everything and spread the mixture between 2 baking trays. Roast for 40 mins, turning over after 20 mins, until the chicken is cooked through. Add the almonds for the final 8 mins of cooking. Serve in bowls with a big dollop of Greek yogurt and some chopped parsley or coriander. Try our other male fertility recipe’s.